Have fun and win giant TCredit "Zackpots" playing our exclusive Eager Zebra™ games. Each game is just 1 TCredit to play! Check out our games here. At Astro Auctions™, you can use your TCredits to place bids on electronics, TCredit packs, Amazon Gift Cards, Silver, and more. Submit the highest bid to win the main prize! Win prizes in every auction! Check out Astro Auctions here. Redeem your TCredits on thousands of products at TripleClicks! Just choose TCredits as your payment method when you check out. For each TCredit you earmark for Astro Auction Constellation Prizes, or play an Eager Zebra game, you'll automatically earn 10 Rewardical Tokens (RT)—which you can redeem for a variety of cool products and other irresistible goodies–including free Bitcoin!! PLUS...Earn up to one FREE Bonus TCredit per dollar spent for a TCD (TripleClicks Direct) item when paying with Bitcoin! • A single credit is just $1.99. • Buy a 10-Pack of TCredits (as low as 56 cents each). • Buy a 20-Pack of TCredits (as low as 46 cents each). • Buy a 50-Pack of TCredits (as low as 39 cents each). • Buy a 200-Pack of TCredits (as low as 29 cents each). 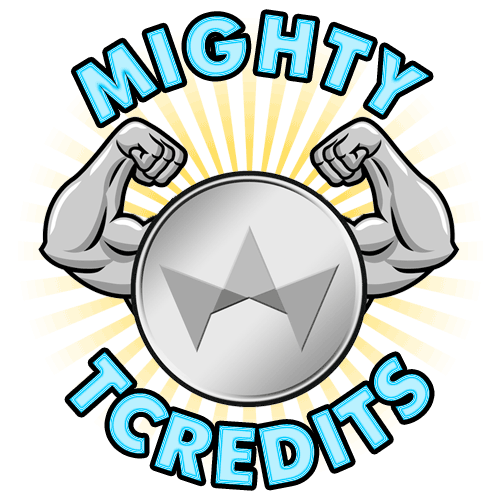 We also distribute thousands of FREE TCredits every day. Every hour, we give away 60 free TCredits to 30 lucky winners in our T-TIME Drawing. Or to have one FREE TCredit instantly added to your account, send a postcard to the below address. Limit: One TCredit from postcard per customer per day. Please include your name and Zing Network Member ID number or e-mail address.